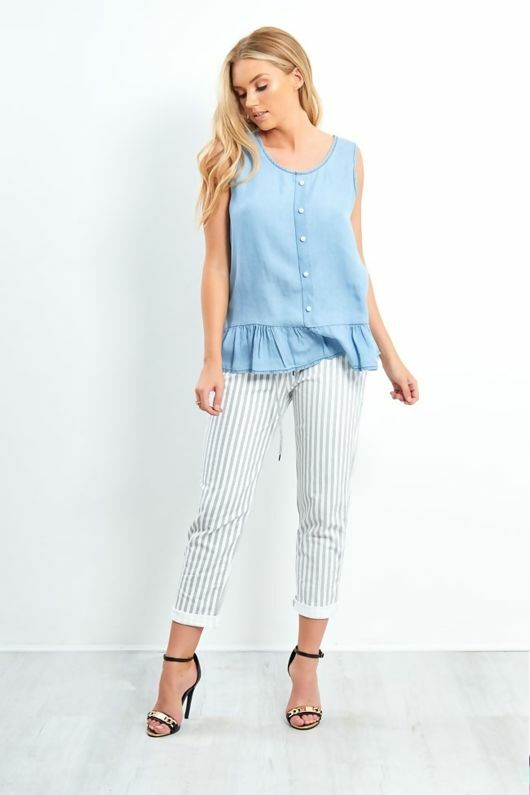 This denim sleeveless top gives a nod to the summer trend. 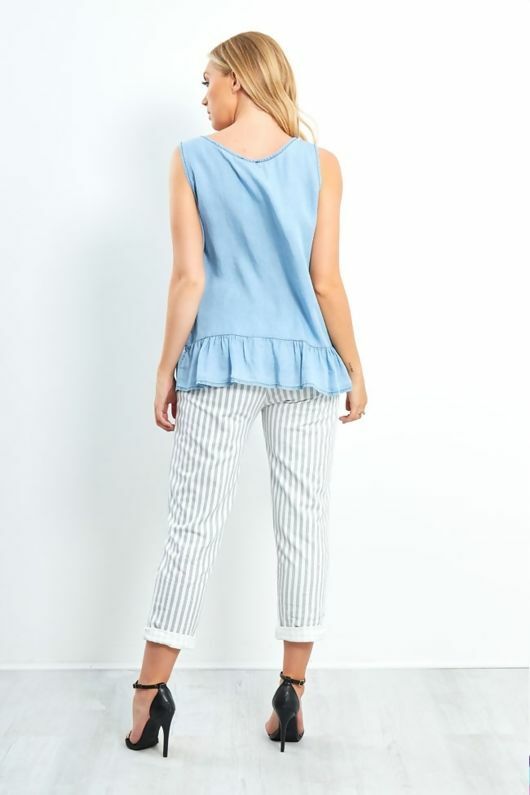 Featuring pearl buttons up the front, and a frill hem. Team with denim shorts and pumps for a casual finish.